Holy cr*p Mike, that looks so amazingly delicious!! To be honest I wasn't a huge fan of uni just 3~4 years ago. Like I could eat it but I didn't know what the big deal was (my sister was always crazy for them). Things slowly changed for me, especially once I got past the texture. It's also good with EVOO. Anyway thanks for the mention! 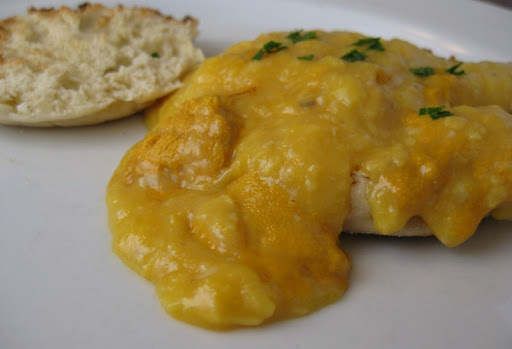 The texture was soft, custardy and - I don't want to say slimy, but a bit in that direction. I had uni long long time ago and didn't like it at all. The texture was not that bad but the smell reminded me of fish innards and the taste was a bit bitter if I recall. I chalked that up to just wasn't fresh uni. 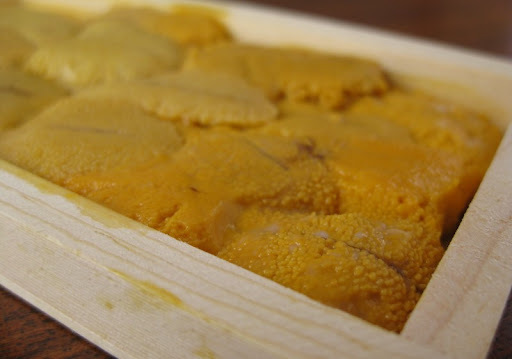 I still want to try fresh uni but just not convinced that I'd like it. Hey Mike - I'm sorry I missed this post, I think we were away. Perhaps you should get live uni, it is much better than the boxed stuff. Sort of like oceany custard. I'll admit that it, like many food items is not everyone's cup of tea.